– Add water in bits with one hand as the other hand continuously combines it with the flour mix. Continue this until most of the dough is sticky then stop. Now kneed the dough on a lightly floured surface for about 10 to 15 minutes until you get a firm dough. If the dough is sticky, alternate between sprinkling some more flour and applying the salad oil to your hands. when you apply the oil to your hands the dough stops sticking to your hands hence making the kneading process easier. Continue this until the dough is smooth and you can knead without it sticking to your hands or the surface. * my tip on testing if the flour is ready: put a finger through the dough until you touch the bottom then take it out. If it comes out clean or with very minimal dough stuck to it then its ready. – place the dough in a bowl and cover it with a piece of cloth and let it rest for about an hour. – After the wait, cut the dough in to equal balls and place them on a floured surface. ..On a lightly floured surface roll out the dough until you achieve adiameter of about 16cm. Add 1/2 a tablespoon of oil and spread it on top of the rolled out dough. 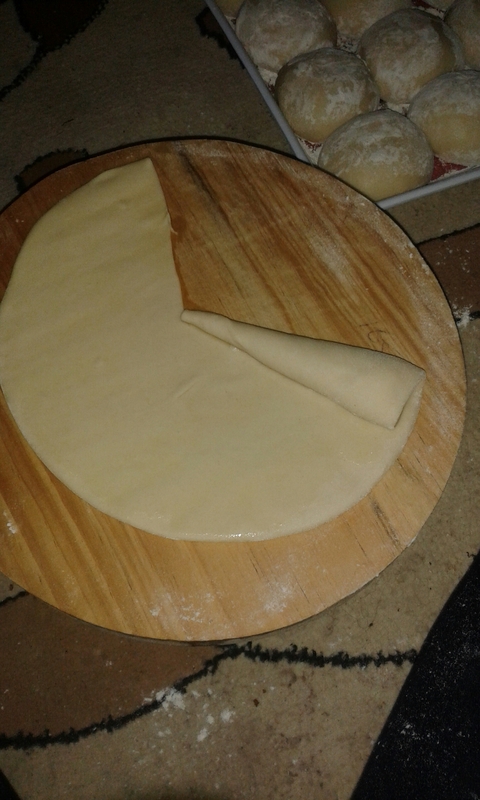 Make a cut from the centre to the top part of the dough then lift the right side of the cut and roll the chapatti in to a cone. Repeat this process until all the balls are done. – On a lightly floured surface ,roll out each cone at a time and place it on a heated pan. Let it sit for about a minute or two or until bubbles can be seen forming . Turn it and spread 1/2 a tablespoon of oil on the surface then turn it back. Now apply oil to the upper part of the chapati and using a spoon lift it partly to check if the bottom side is well done. If so, turn it once more and let the other side cook. When done, remove the chapati from the heat and place it on a dry surface and keep covered with a clean piece of cloth. Repeat this until all the chapatis are done. Would it be possible to substitute gluten free flour? Thank you! I am forever indebted to you for this inramfotion. Awesome mama…. great cook you are. Thanks. Can one eliminate sugar altogether? Na zile chapo za njeri zakaa crisps zapikwa aje ? Wow.. thanks for this post.. really helped me. I will share 4 fish recipes next week. Is the water you are using warm or just cold water? eaten with a fried egg! Also add some lime juice to the flour helps stretch the dough! Chapati is made from wheat flour which is light without excessive use of oil. Interesting to see that sugar is added to this recipe. I just made this today and they were heavenly!!!! How many chapatis are made with these ingredients? I have been doing the same but they still ‘crunch’ . Where do I go wrong? It depends on how big your dough balls are. I just made these today, and I yielded 10. Could be the heat you use… Too low or too high, failing to turn the chapati while on the pan or using a thin sufuria/pan instead of a heavy one. 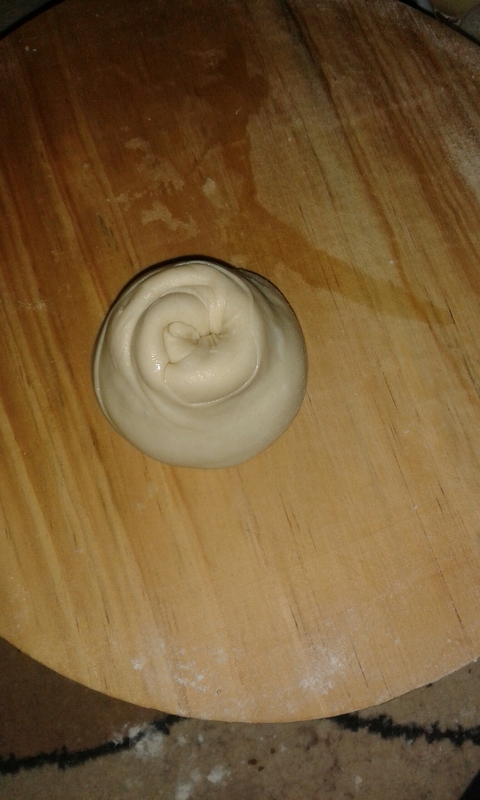 Or… Not letting the dough rest after kneeding. Is it a must to use sugar? I have many years experience making chapatis, and I’m always seeking new and better ways to make my chapati be softer. When I saw your recipe on Pinterest, I decided to use it to cook for my wife and children, and chapatis I made are very soft! I followed your recipe and was very pleased with the results. From Atlanta, Ga, thank you very much for your work. Hi. I love your blog. A professional website would especially help market your work professionally. I’d like to design one for you. I must try this out. Been making chapatis but sometimes they are thick. But i have never waited for 1 whol hour to start. Think thats where i go wrong. Looks delicious. Thanks and keep it up give us more recipes. Not true. I use sugar all the time in my chapatis and they never harden even 3 days later. I have been so belridewed in the past but now it all makes sense! Can I freeze the dough and the chapatis? Thank you for the recipe.